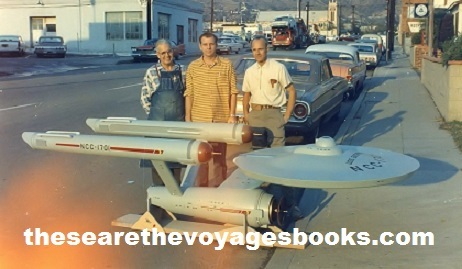 Work on the model for the Starship Enterprise began in early October, 1964 -- 51 years ago this week. 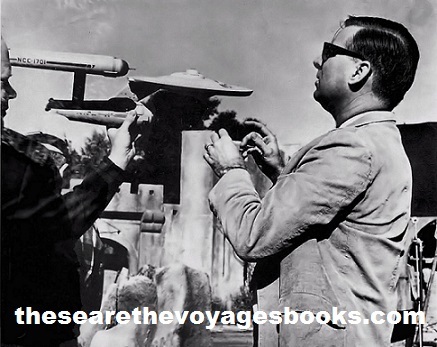 Based on Matt Jefferies’ detailed drawings, Richard Datin, a model builder, presented a small prototype of the Enterprise (pictured left) for Gene Roddenberry's inspection during the filming of "The Cage" at Desilu's Culver City back lot. And the day the it was completed (pictured right).